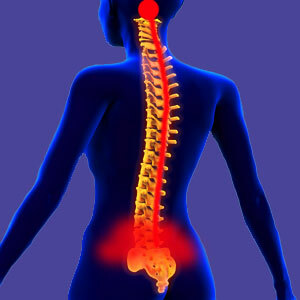 Ischemia lower back pain creates symptoms by depriving cells of oxygen. Oxygen is needed by all organic cells in the human body and without it, the cell will not be able to function properly. Each cell type responds differently to ischemia, but all will react negatively and some cells, such as nerve cells and muscular cells, will react violently. Dr. John E. Sarno is most famous for his work with ischemia in tension myoneural syndrome patients. However, many other researchers have contributed heavily to the development of the oxygen deprivation theory of pain and how this mechanism is often related to non-traditional causation models. Not surprisingly, ischemia is a theory of pain that is often fought tooth and nail by traditional Cartesian care providers, since if the idea was universally accepted, it would basically destroy the delicate industry that they have created and decimate the trillion dollar back pain sector virtually overnight. This interesting dialog continues our coverage of ischemia as a primary cause of low back pain, as well as a contributor to structurally-motivated pain syndromes. We will examine different mechanisms of action for ischemia pain syndromes and provide helpful guidance for patients who are searching for relief. Ischemia can be structurally-enacted through various processes. Two of the more common issues are compression of a circulatory vessel or interior narrowing of a circulatory vessel, preventing blood from reaching specific anatomical destinations. Blood vessels can suffer compression due to muscular spasms, atypical anatomy or other reasons. Meanwhile, stenosis of arterial plaques is a normal part of aging. However, both of these conditions are easily diagnosed using a variety of standardized tests. If ischemia is suspected as a source process for pain, these structural issues will be the first potential causes evaluated in virtually every case. It is also possible for ischemia to occur when the blood itself loses the ability to effectively carry oxygen. This can occur for several reasons, as well. The red blood cells contain hemoglobin, which actually transports oxygen and also removes waste chemicals which are left over from metabolic activity. If the hemoglobin count is low, or if the hemoglobin is not functioning correctly, then ischemia can occur systemically. Similarly, if the general red blood cell count is low, or if the red blood cells are not functioning correctly, then oxygen deprivation can also occur. It should be noted that in cases of blood-related ischemia, effects will be noted globally across the entire anatomy. In cases where low back pain is the only specific symptom, structural compression or internal narrowing would have to provide the only possible mechanisms for location-specific ischemic pain. Far more common and far less often diagnosed than structural reasons for ischemia to occur are the mindbody mechanisms that can create devastating symptoms anywhere in the body. Dr. John Sarno has embraced ischemia as the most logical model for chronic pain, regardless of where it occurs in the anatomy. Ischemia is a perfect and logical explanation, since it is fast-acting, creates dire symptoms, leaves virtually no evidence of its process and can operate undetected for long-time frames. Mindbody ischemia is a defense mechanism which is enacted to protect the conscious mind from painful emotional and stress stimuli. In essence, it functions as a facilitator of repression or suppression. Ischemia is known to be a common instigator of not only lumbar back pain, but also of all the other common psychogenic symptoms universally experienced by human adults, including gastrointestinal disorders, headaches and any type of nonstructurally motivated pain. We detail all the reasons why ischemia would be linked to the mindbody processes in our dialog covering psychogenic lower back pain. Ischemia that is created by structural models should be diagnosed during preliminary evaluation of the pain condition. This is especially true if the diagnostician is a spinal neurologist, since they observe many cases of circulatory vessel narrowing and compression being responsible of chronic pain. However, if testing does not show any signs of vessel compression or blockages, but ischemia is a suspected causative process, then focus should shift to possible mindbody origins of symptomology. This is where the diagnostic system fails almost every time. When ischemia is suspected, but structural models do not apply, focus typically shifts to seemingly innocent spinal irregularities that have been proven to be innocent in research medicine for decades. This is where the patient leaves the correct path of treatment and ends up going the wrong direction, often towards eventual unnecessary and unsuccessful surgery. Read more about the causes and effects of oxygen deprivation on Cure-Back-Pain.Org’s coverage of ischemia. Our peer-acclaimed pain relief program can make ischemia lower back pain a thing of the past. 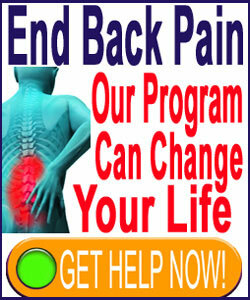 Get help for your pain right now with our Cure Back Pain Forever Program.